The death of a loved one can be heartbreaking and worse still if it was as a result of someone else’s recklessness. The grief might just make you unaware of your rights as a survivor of the deceased (spouse, parent, child, relation or financial dependent). However, you can sue for ‘wrongful death’ and get duly compensated for your loss. 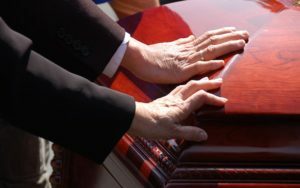 What you need is to hire an expert wrongful death attorney.Rawa Law Group is at your service if you are in Carson, CA. We are known for our relentless and tireless advocacy for victims of a tragedy. We have several expert wrongful death attorneys who are rated among the best in California. Also, we have more than 50 years of combined legal experience. Rawa Law Group has helped many families through tragic times and has seen them get the due settlement that has run into several hundreds of millions. When you hire us, we offer a free case evaluation and we would proceed to investigate the extent of fault and ensure your case is made accordingly. We also give you sound legal counsel without any hidden charges. The only payment we expect from you is after we have won your case. While we understand that you need apt representation, we consider your schedule, this is why we have flexible appointment hours and can sometimes make home/hospital visitations when necessary. If you ever need to hire an expert wrongful death attorney in Carson, CA, then do not hesitate to come to our address below.